I liked your other persons better. Yesterday you were somebody else. I see. What an amazing coincidence you both like me. Sorry. That was the other Lauren. She and I had a whole conversation with me yesterday about shoes. She had a full rich profile and friends. You’re one day new on Facebook and lucky me. A fat 55 year old Canadian is your first choice to make friends with. I’m a lucky guy. My self is not real. I’m actually a fake profile and I’m in Africa just waiting for a beautiful woman to say hi and start a scripted conversation with me. Perhaps you and I have a lot in common. I always mix those two up. Which African country are you in? Yes, but where in Africa are you? Ok. Ignore my silliness. I’m sorry. I really am Jeff in Canada. I’m sorry. So Texas Lauren… Why me? Well you don’t need to tell me you are sorry because I don’t understand your chat. I know. That’s why it’s so funny. Right. And it doesn’t turn you off that I’m crazy and you can’t understand me. My kind of woman. I can say anything and you just reply with the next line from your script. Cool. I am poor by the way… Like bouncing rent cheques poor. You see, somewhere in Ghana, there is an office building, and inside it, men and women are trained how to pick American men and pretend to be pretty women from Texas. They are given a set of scripts to use to answer common questions using phrases like; age is just a number and; I don’t know what got me attracted to you. They try to build up friendships and at some point in the future, ask for something. This has been going on for a long time so it must work at least some of the time. I am one of the people that gets these messages once or twice a month. Yesterday, and today I got one from a different version of your name, so I’m pretty certain you are not Lauren from Texas. There is no real reason for Lauren from Texas to strike up a conversation with me using poor English. Do my reactions now make more sense? By the way, I usually blog these fun conversations on my blog. If you really were Lauren from Texas then we’re not really going to be friends anyway. You’re creepy stalking strangers twice your age and no ability for conversation. Ok, maybe that was a little harsh. Note: There was no reverse image search for Lauren as there often is. It was however, the third different photograph of a Lauren Fleming in two days. The first one was a real profile with a real person probably hacked and then a different black woman, and then this one. She came back for round two, and since I have three monitors at my work desk, I could continue the madness with her while I work. Am who I say I am..
Ok. And your African accent is just a coincidence. It was fun playing. You’re already on my blog. Are we really going to continue this fake Lauren? Did you even read my long text above? Why are you wasting your efforts trying to convince me of something I already know? Even these attempts are out of the script. There is no other logical reason for you to be chatting with me this way. I am a crazy person with no money in a ccountry 4000 miles away. Darn. I get more points in the game when you admit it or run away. Oh well. oh well… not really my loss. Your English is horrid. I could never love you. I do have trust issues but based at least a little bit on logic. When three separate people present themselves to me in a 24 hour period using the same name and multiple accounts and then just say Him, I have no reason that you’re the very first person I chose to say Hi to on Facebook, trust is a bit hard. I’m sure you can understand that. Yes, and it’s also a lot of fun trying to get the African chatters to slip up like you have. Well, ok. You caught me. This is the second account, but you changed the profile picture this morning. The white girl from Vancouver with the same name is your Cousin? What time is it there in Texas? Ok. I’ll be nicer. May I see one photo of you without a Snapchat filter? Any photo. I’m confused. That is the picture from this morning. I thought that was your cosuin. So why are you black on the profile pic? This new woman is far more beautiful. I love that image. 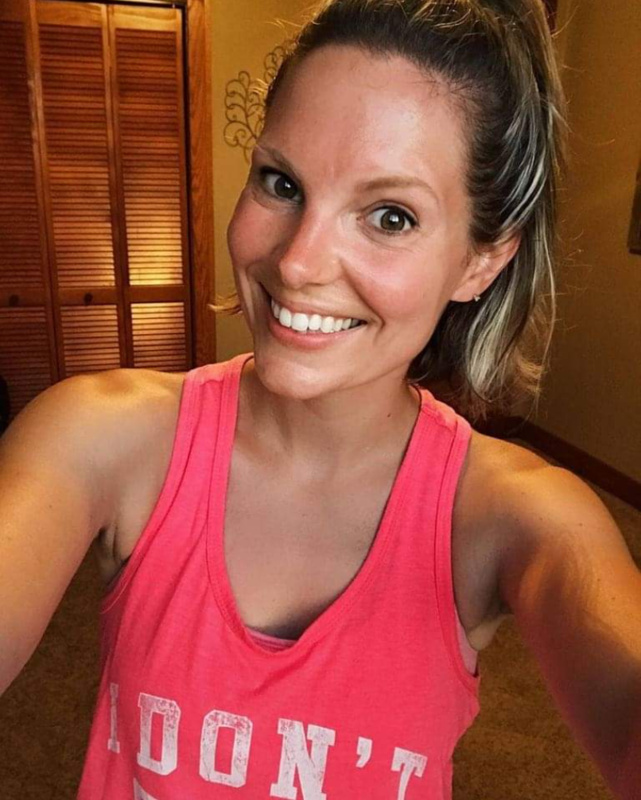 Great smile. It doesn’t even show up on Google when I do a reverse image search, so that’s a bonus. No. I am saying this photo you’ve chosen is beautiful. I’m not really into the Casino pic of Vanessa. You probably should have told me you were not Vanessa right away. Yes.. but at this time, Lauren is a picture of Vanessa. 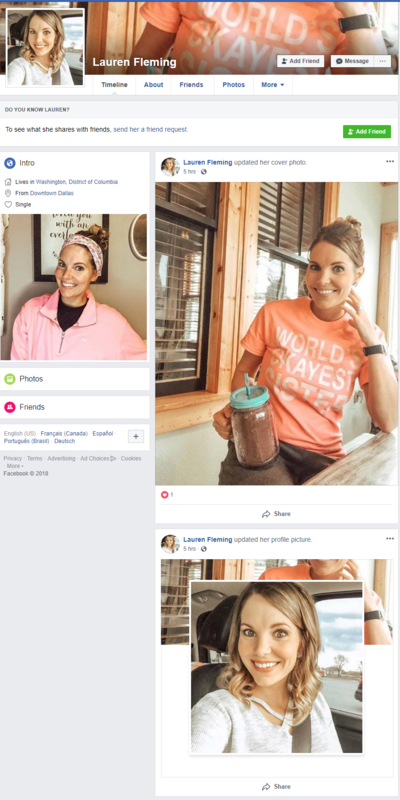 The Facebook profile is a picture of Vanessa. Ah, and nowhere else on the entire Internet I see. Well to be fair, the whole wrong picture/wrong profile was a little misleading. The whole time I thought I was chatting with that photo, and then you show me your beautiful self photo and I don’t know what to think. Yes. I’m a friend of Antonio’s too so he can tell you I’m nice. Your only friend on Facebook. Your Facebook profile says he’s your friend… so I’ve been chatting with him. Trying to build my trust in you. You seem even more confusing than I am. Ok. I guess Antonio is a liar. Oh well… I should really get back to my work fake Vanessa/Lauren. It sure was a lot of fun trying to greak you. sorry. 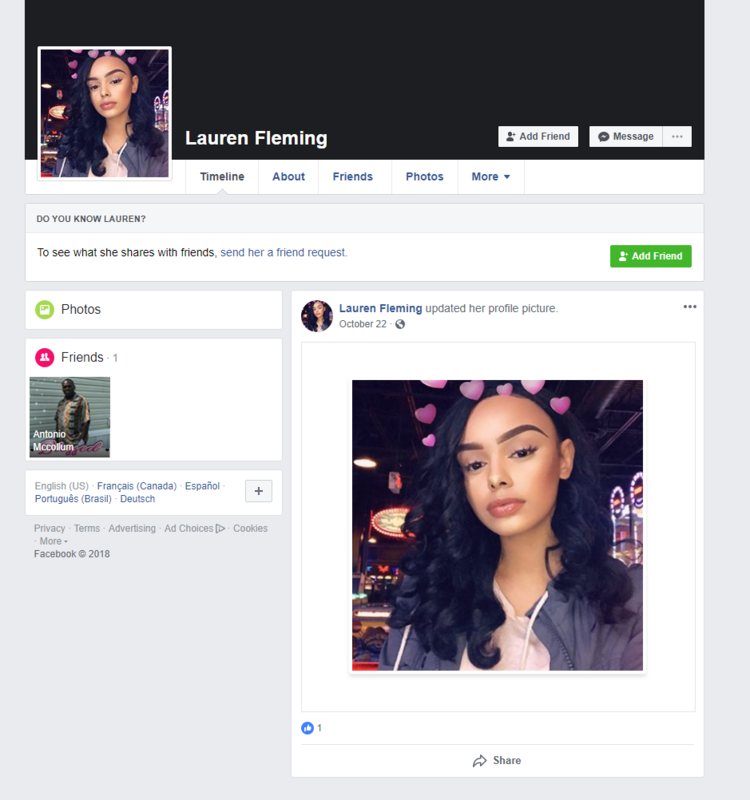 Goodbye for now African REAL Lauren Flemming who has no online profile anywhere. That’s all I try for. You and the other people around you in that African warehouse can get a laugh, and perhaps one day, learn that Americans in Texas use pronouns. If we chat again, I’ll be 100% normal and treat you like a real 20-something cute American girl who just happens to speak with an African accent. Maybe I was wrong all along, and cute girls do pick fat broke guys like me to chat with out of the random blue from accounts with pictures of their cousins. It makes sense when you word it like that… however, for now I need to return to my work in the real world. Suddenly a new Lauren acount exists and it “likes” all things Canadian. Posted in Odd Chat Exchanges, vanilla. Tagged africa, Facebook, Ghana, Pronouns, scam, stalker. ..oberursel.de.. Sie haben bis halb eins, nicht wahr? sie sagte, nehmen http://www.oberursel.de/generisches-viagra-deutschland/ Sie sich Zeit, Sam. Sie sollten Ihr Essen gut, vor kamagra 100 preisvergleich allem etwas, das bereits die Hälfte gehackt, wie gefГјllte Rinderbrust http://www.oberursel.de/priligy-online-bestellen/ kauen. GefГјllte Rinderbrust! Sam rief. Warum er mit seinem Messer Warum stieß, das macht immer krank. Er ausgewogen einen guten Schluck auf seiner Gabel.